Every two or three years, Guy Gavriel Kay releases a new novel which never fails to amaze me. Although Kay is doubtless one of the very best fantasists of his generation, I can't help but feel that he remains, outside of Canada at least, one of speculative fiction's best-kept secrets. Having loved Under Heaven, I was thrilled when it was announced that the author would be returning to the empire of Kitai in River of Stars. This new work is not a direct sequel per se and there is no need to have read Under Heaven in order to fully enjoy River of Stars. Centuries have passed since the events chronicled in Under Heaven took place and Kitai has changed to such a degree that, other than missing a few nuances here and there, River of Stars often feels as though it's occurring in a completely different setting. And yet, although there is no need to read Under Heaven, I recommend that you do so, for it is in my opinion Guy Gavriel Kay at the top of his game. And Kay at his best is better than basically every other SFF author writing today. 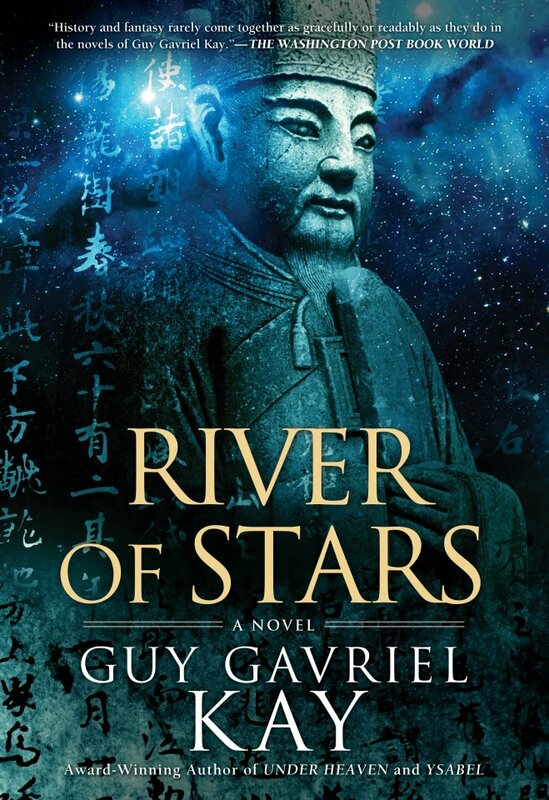 As is habitually Kay's wont, River of Stars is a compelling blend of fantasy and history. This work was shaped by the themes, characters, and events from China's Northern Song Dynasty. The author's talent and imagination allow him to create a living and breathing environment that draws in the reader and refuses to let go. I don't know how he manages to do it, but Kay's worldbuilding is often a subtle thing. With him, the setting never takes precedence over the tale and he never relies on info-dumps and other such contrivances. Still, somehow, as the story progresses Kay ends up with an elegantly crafted setting with a beautiful imagery. Few authors can immerse readers in such a vivid manner, and the Kay's eye for historical details and traditions imbues River of Stars with a realism that is seldom seen in works of fiction. As was the case with James Clavell's Shogun, in which readers learned a whole lot about feudal Japan, in River of Stars Kay introduces us to countless details, great and mundane, regarding the Northern Song Dynasty. Who would have thought that at one point in history a general actually went to war while forgetting to bring the siege engine!?! Throughout the book, Guy Gavriel Kay's extensive research of that era and his unique approach to fantasy permit him to set the mood gracefully, his vision in perfect harmony with the time and place and the protagonists. As the cover blurb implies, River of Stars features two pivotal characters. The first one is Ren Daiyan, a young outlaw turned soldier who wants to bring the empire of Kitai back to its ertswhile glory. The second is Lin Shan, a scholar's daughter raised as a boy. As a result, unlike the ladies of her time, she is opinionated, as well as a brilliant poet, songwriter, and calligrapher. And though, both of them take center stage for the better part of the tale, River of Stars wouldn't be such a moving and multilayered book without its supporting cast. In their own way, these engaging characters add another dimension to this novel and make it what it is. Indeed, this work would never have been the same without Prime Minister Hang Hsien, Emperor Wenzong, Kai Zhen, Wang Fuyin, Lin Kuo, Lu Chen, Lu Chao, and Wan'yen, and many more. With such a multitude of POVs, River of Stars is a sprawling novel, one that takes a bit of time to get into. Although the rhythm can be slow-moving at times, I felt that the book was paced perfectly. The story progresses exactly as it should. From beginning to end, with Kay's lyrical prose the narrative is a joy to read. I particularly loved how the author left us with an ambiguous ending that can be interpreted in various ways. Spanning decades, River of Stars is a novel about destiny and how individuals and their actions can shape the course of history. Beautifully crafted and complex, populated with well-drawn men and women, it should stand on its own as one of Guy Gavriel Kay's signature works. One of his best yet, second only to Tigana and Under Heaven. I'm aware that it's still early in the year. But as things stand River of Stars is now in pole position and will be the speculative fiction title to beat in 2013. And don't forget that you can still pre-order it at 46% off on Amazon via the link below! 1 of only 4-5 authors whose books I will buy every single time without needing to see a review. I've loved Kay since I read Fionavar as a 12 year old, and he gets better every time. Got notice that my preorder shipped today, can't wait to read it! Have you review'd Tigana or Lions of Al-Rassan? You should do a review, I know you liked them. Saw that somewhere on the site.